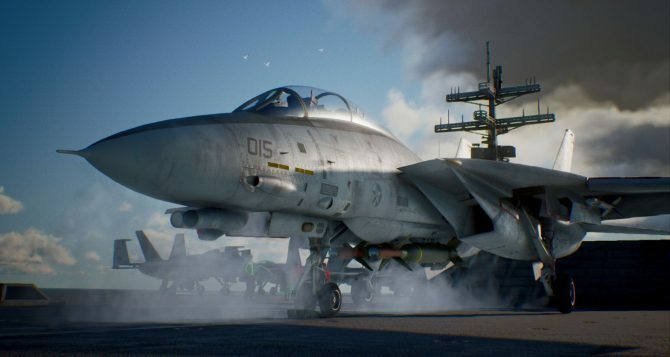 Ace Combat 7: Skies Unknown Producer Kazutoki Kono talks in depth about the upcoming title's story, gameplay and much more. Ace Combat 7: Skies Unknown appears to be shaping up as a return to form for the Ace Combat franchise, and in order to learn more about the game, DualShockers had a chat with Producer Kazutoki Kono. Kono-san talked about several aspects of the game and of the entire series, including story, consoles, weather, gameplay, virtual reality, level of difficulty and more. 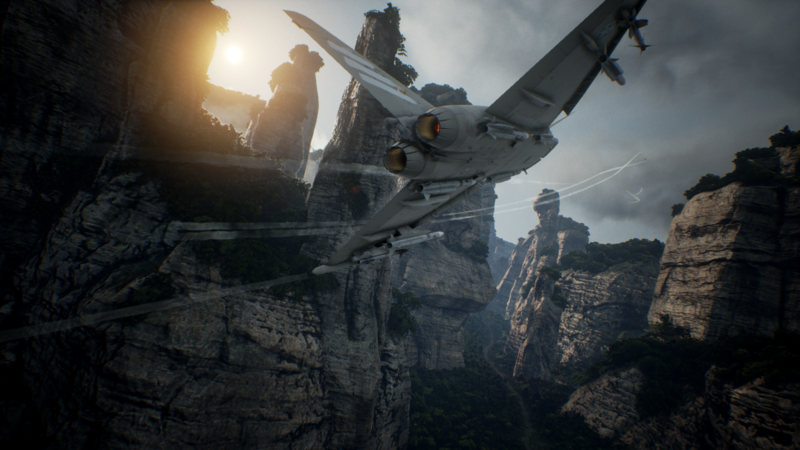 If you’re eager to know more about Ace Combat 7: Skies Unknown, read on. Giuseppe: A while ago, you announced that the game will come for Xbox One and PC as well as PS4. Why did you decide to move to multiplatform? Kazutoki Kono: It was an easy decision. We’d like everyone to be able to play the game, in the whole world. I don’t think one platform is enough to cover the whole wold, so we went with multiple. G: So what about a Nintendo Switch port? Is there any chance for that? 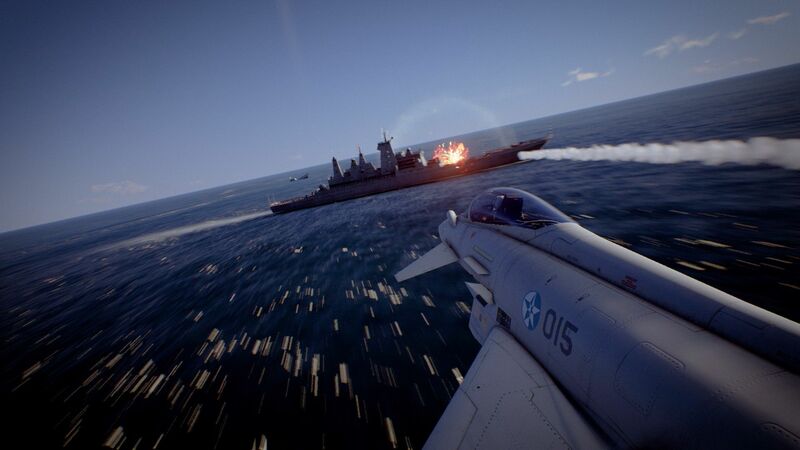 KK: I think that Nintendo Switch is a very attractive platform, but I don’t feel that the hardware is able to handle the tech Ace Combat 7 uses. G: Could you provide any specifics on how the game will support PS4 Pro and Xbox One X? KK: We’re currently considering how to support PS4 Pro, and the same goes for Xbox One X, but we have not finalized this kind of details yet. G: You brought back together a dream team for this game, including the writer from Ace Combat 4 and 5, the composer, and even the writer of the radio chatter. After Ace Combat: Assault Horizon, what made you think that it was time to bring the old team back together and to go back to Strengereal? KK: Numbered titles are very important for the Ace Combat series, while Assault Horizon was a sort of “challenger” game to try something different. Ten years passed since the last numbered Ace Combat game, and we’re also releasing on new platforms, so we felt like we had a responsibility. That’s why we thought our veteran staff members had to return. This is the main reason. 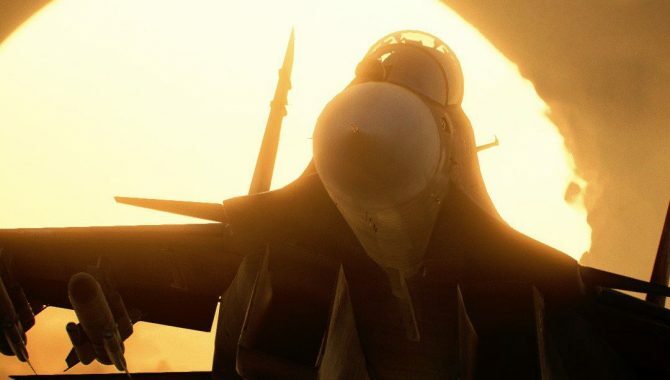 G: Are there going to be more “challenger” Ace Combat games in the future, or you’re done with that? KK: I can’t say right now, but we’ll think about it. Now we want to focus on Ace Combat 7. 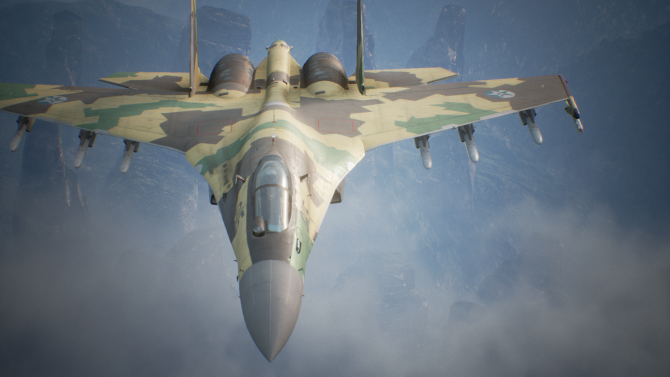 G: The weather in this game appears to be very spectacular, and the icing on the canopy and wings is a new element. Ace Combat games have always been pretty easy and intuitive for newcomers. The ice, fog and weather adds a bit of challenger. Did you hesitate to add those elements? KK: There have been big discussions among the staff about this. In the end the decision was determined by the fact that the player can avoid those dangerous situations. You don’t have to fly in the clouds if you don’t want to. You can use the clouds as part of your air combat tactics, or you can simply decide to avoid them completely if you’re not ready for the challenge they pose. G: The PlayStation VR mode I just tried was really quite easy. Were the enemies intentionally made less challenging to avoid making the situation too disorienting in virtual rality? KK: Yes, we made special adjustments for the VR version. This should be seen as a prototype, though. Finding the right balance is also challenging for us, so we’re still in the experimental phase for the VR feature. G: Are there different levels of challenge for those who might want a more difficult experience in VR? KK: Yes, you can choose the difficulty. That said, this mode isn’t recommended for long-term gameplay, as it might be too intense for some. G: I didn’t have any issue, Personally. I think I’d definitely want more challenge. G: I’ll be fine, don’t worry. What went into the decision to use the TrueSky tech for the clouds? It’s interesting that the first application i saw in games was a racing game, Driveclub. KK: We knew that the visuals were really good in that game, and the clouds looked great. It’s easy to change the characteristics of the clouds by changing the parameters and values, and the tech was really attractive for us. The difficult part was that in the racing game the clouds just existed in the sky, so you don’t get into them. But what if you have to fly into them? You need parameters like collisions and more. There are many situations within the clouds that you have to take in account. That’s why the version of the TrueSky middleware used in our game is heavily customized. It’s not the basic version. Our development team quickly realized that achieving what we wanted was not possible using the basic TrueSky. G: Since you talked about making “challenger” games to challenge your own team as well, have you ever considered developing an Ace Combat game as a full-fledged and realistic flight simulator? KK: For now we haven’t thought about that. Do you like simulators? KK: I tried a flight simulator on PC, but I couldn’t control the aircraft. G: Unfortunately those aren’t very popular anymore. 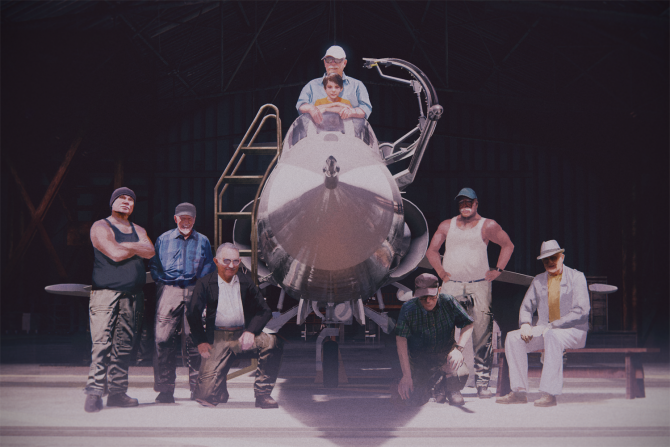 KK: One of the goals of Ace Combat is that everyone can play the game. It should be easy, in a way. G: Since you are experimenting with VR, and Bandai Namco has its own VR Zone amusement parks in Japan, have you thought to create a version of the game for that kind of environment, maybe with a full cockpit for immersion? KK: Right now it’s not planned, but personally I’m really interested in it. 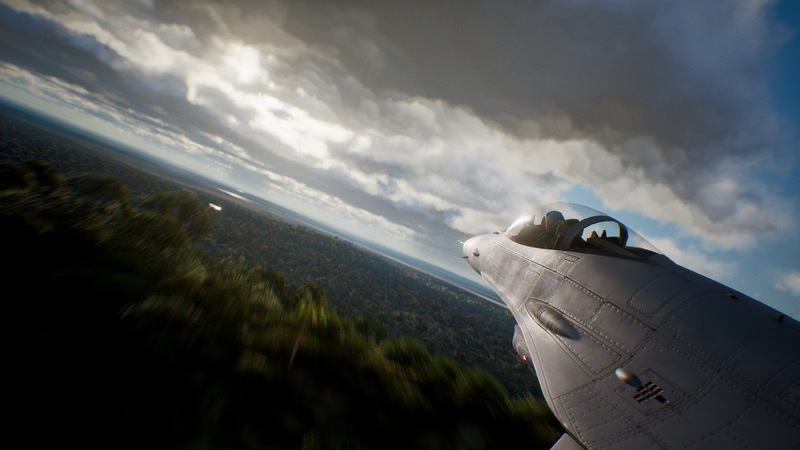 Part of the staff working on the VR Zone games are former members of the Ace Combat development team, and they would like to develop something like that. G: A while ago you had a poll on Twitter about possible remasters or remakes of Ace Combat 4 and 5. Has there been any further talk among Bandai Namco’s executives about that possibility? KK: I receive requests of remasters and remakes very often on Twitter. From a technical point of view, it’s of course possible. That being said, there are some issues. For instance, there might be a worry that if we make such a remaster, the fans might think that it doesn’t match their memories of those beloved games. G: Personally, my memories are quite fresh. I replay Ace Combat 5 at least once a year since it’s my favorite. 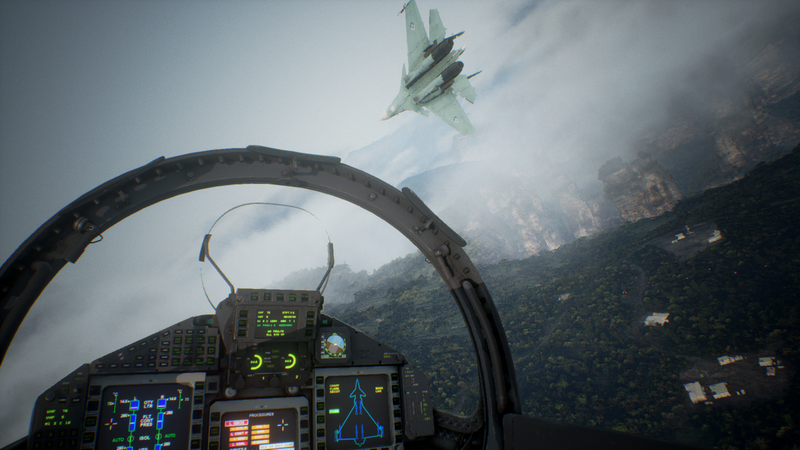 G: That being said, Ace Combat 7 gives me some very strong Ace Combat 5 vibes. It feels like the story could really be that good. KK: I’m sure you’ll like the story, because it is similar in depth to Ace Combat 5. G: The trailers definitely do a good job in teasing that. It seems that there is no real villain among Osea and Erusea. They both seem to have their reasons. KK: Exactly. We have the E3 trailer and the Gamescom one, and both parts create one story. Both sides have their point of view, and they’re both in a right in a way. You probably know the previous games well enough that you can understand the story we want to tell. G: I and many other fans are definitely wondering of the player is going to end up switching sides during the game. Don’t worry, I know you can’t tell me. It would be a spoiler anyway. KK: At least I can say that there is something that happens between the two countries involving the player that will be very surprising. Of course this hasn’t been disclosed yet, but I think you can imagine what I’m talking about. G: Yes, I have some theories, and there are many more floating around the internet. KK: I’m having a lot of fun reading the discussions between the fans. 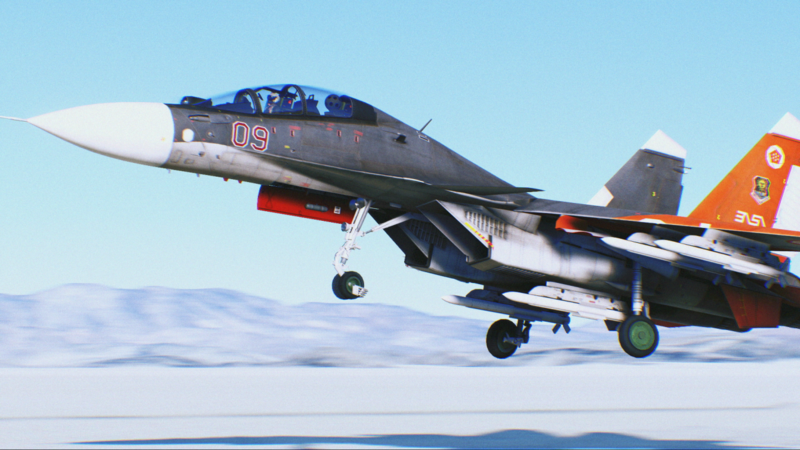 G: Switching gears for a moment, Ace Combat Infinity was definitely a bold experiment. Is it considered a success at Bandai Namco? KK: The project was really successful. It has been going on for three years, and that wouldn’t happen if it wasn’t successful. In Japan this console free to play version is going well, and it’s the only version of the franchise that you can play for free all over the world. That said, I think that many elements of the game could have been done better. G: Was it intended for it to leak the existence of Ace Combat 7? KK: I think that was a joke from the staff. The development team is the same. G: Is the script of the game complete now? G: So you already know how it ends. Please don’t tell me! G: Personally I i’ll never forget the scene in Ace Combat 5 where fighters from Osea and Yokutobania fly wing by wing with the president’s speech on the background. KK: That speech was also written by Katabuchi-san (writer Sunao Katabuchi, who is also writing the script for Ace Combat 7). It was such a long speech that it wouldn’t fit in the cutscene, so we had to make it continue during gameplay. 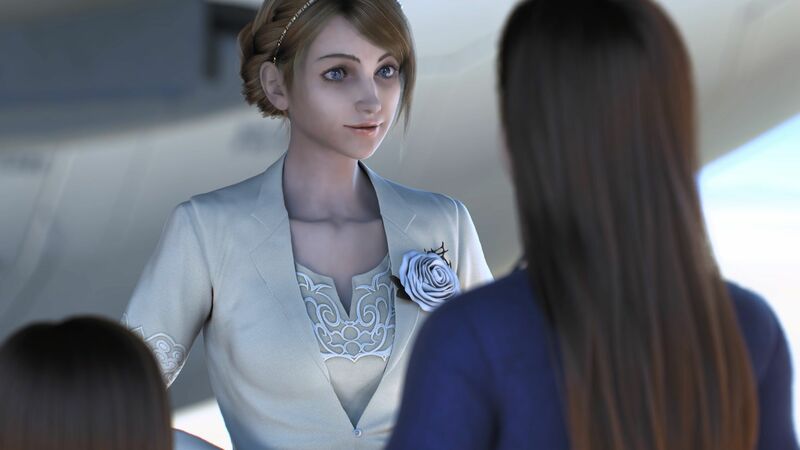 G: Now a lot of people are thinking that Princes Rosa Cosette Elise of Erusea is going to do the same in Ace Combat 7. KK: (laughs) I can’t say. G: She sure seems to love speeches. KK: She certainly is a very relevant person in the game. G: What is the message that you’d like to convey with Ace Combat 7, if you have one? KK: There are several messages and topics in the game. One topic is unmanned aerial vehicles, and what is the reason for humans to be in the cockpit. Also, as I am getting older, i’d like to talk about the relationship and communication between the older and younger generation. There is a a senior, veteran pilot in the game. G: …and an older plane, the F-104 Starfighter. KK: Yes, that also represents the older generation against the younger generation. The relationship between Osea and Erusea is another big topic, but I’m also looking forward to see what fans will take away from it on their own. G: Each Ace Combat has a “poster plane.” Which would you say is the aircraft that represents this game the most? KK: Maybe the F-22, it’s a good iconic plane to represent a numbered game of the series, even if I personally like the Flanker more. 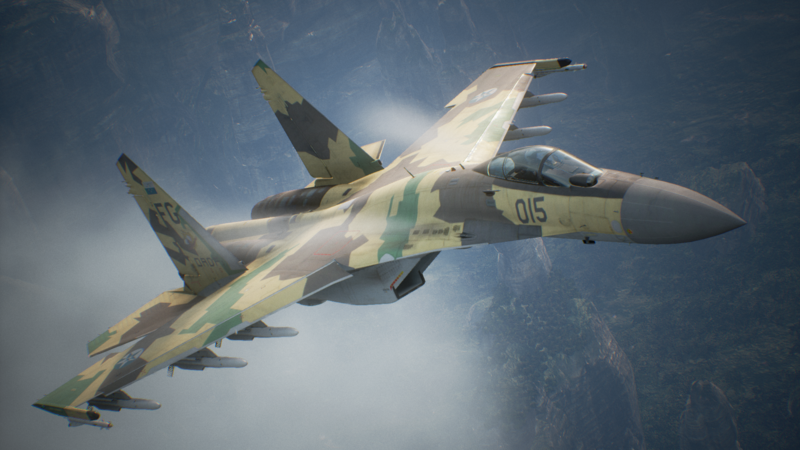 G: I guess Russian planes are going to be more representative of the Erusean side? G: Do you have any final word for our readers? 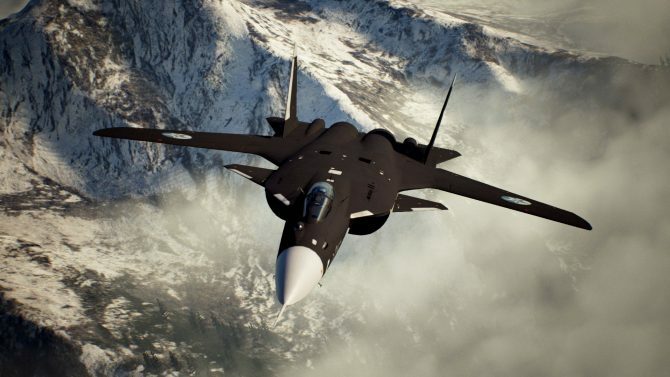 KK: It’s been ten years since the last numbered version, and we have a dream team working on Ace Combat 7. We have chosen the best staff we could to bring you an awesome Ace Combat game. Please look forward to it. If you want to see more of the game, watch me playing a mission with the standard controls, and the same with the awesome expert controls. You can also watch Kono-san himself play another mission, and read my own hands-on preview. Ace Combat 7: Skies Unknown launches in 2018 for PS4, Xbox One and PC.